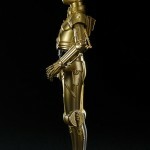 And one last piece of catch-up news from Koto. 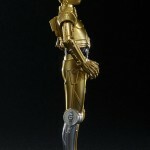 Over at the Kotobukiya Facebook Page, they have added photos for an upcoming Star Wars ARTFX+ C-3PO and R2-D2 2-Pack. 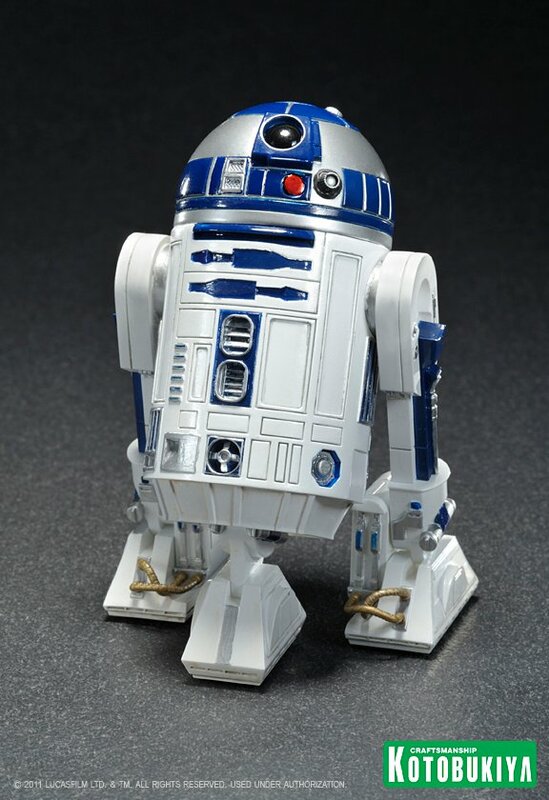 A Kotobukiya Japanese import! 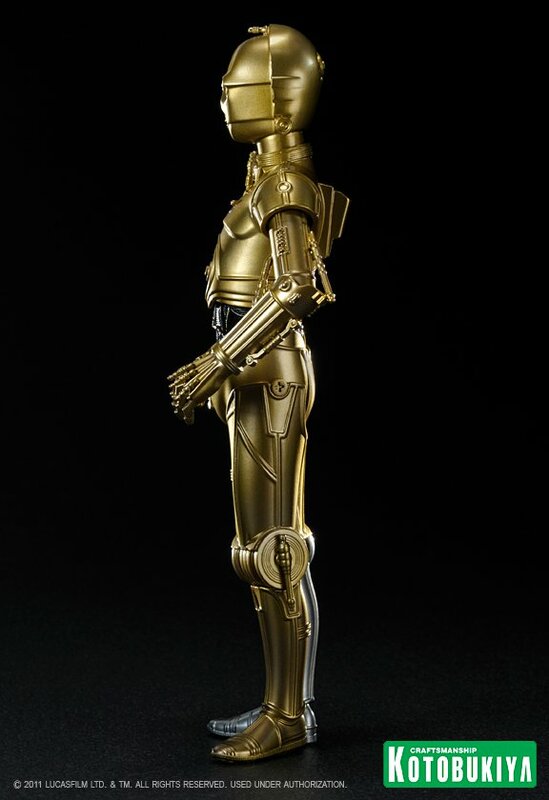 Star Wars ARTFX+ Statues bring you all of the quality and detailing that you expect from an ARTFX release in a great smaller scale that’s perfect for collecting! 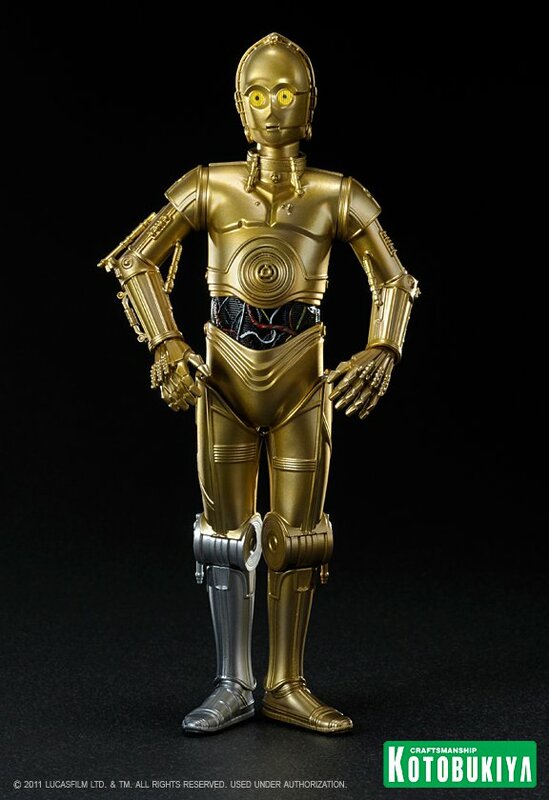 The new collection has exploded with such greats as Boba Fett, Darth Vader, Imperial Stormtroopers, and Republic Clone Troopers (the latter two in easy to collect two packs)! 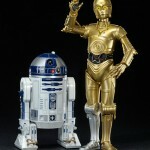 Up next is the most famous droid duo of all time, C-3PO & R2-D2! 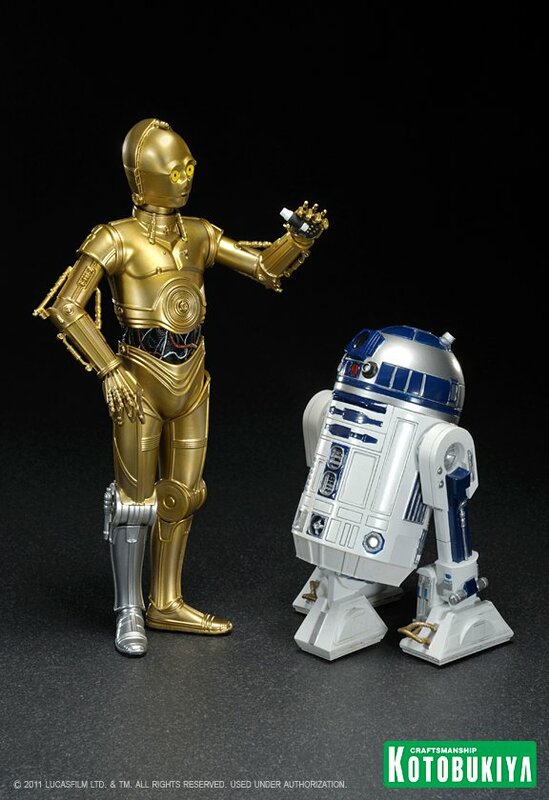 From the very first frames of Star Wars Episode IV: A New Hope, the stuffy protocol droid and his plucky astromech companion captured the hearts and minds of viewers around the world. 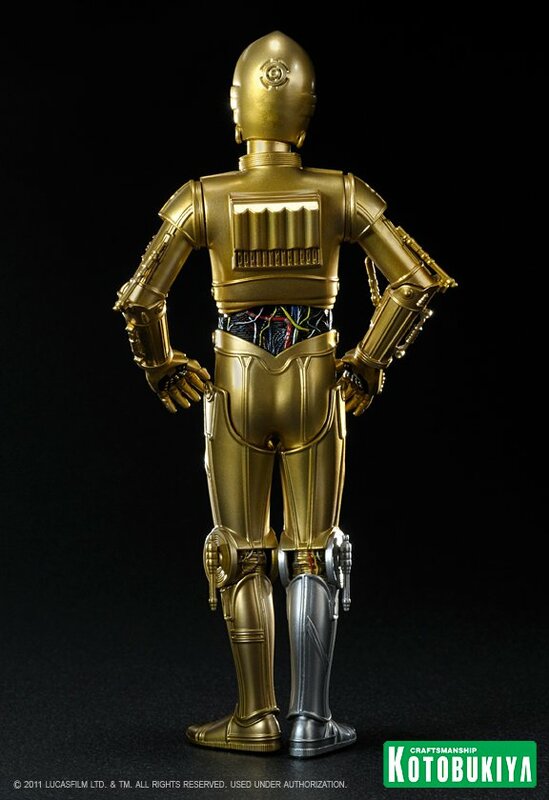 They couldn’t be more different but somehow through Imperial traps, Rebel celebrations, and forest moons they managed to influence the course of history. 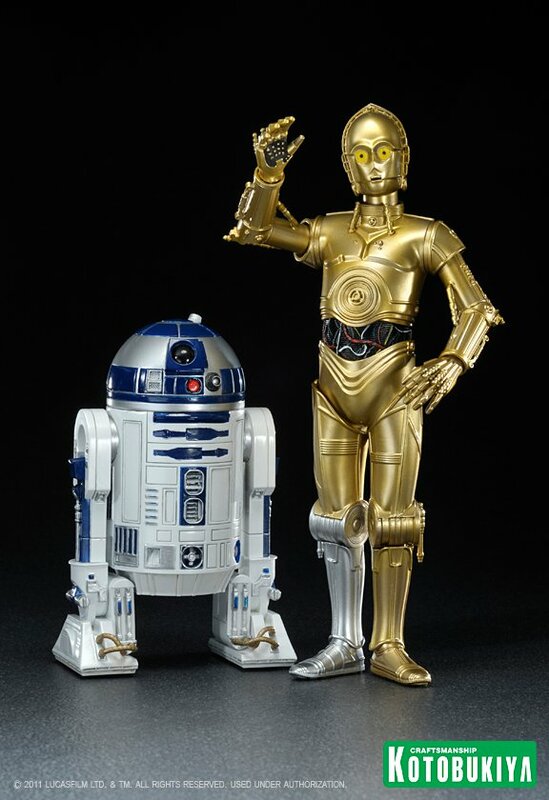 For the first time C-3PO and R2-D2 join the ARTFX+ line in this exclusive two pack. 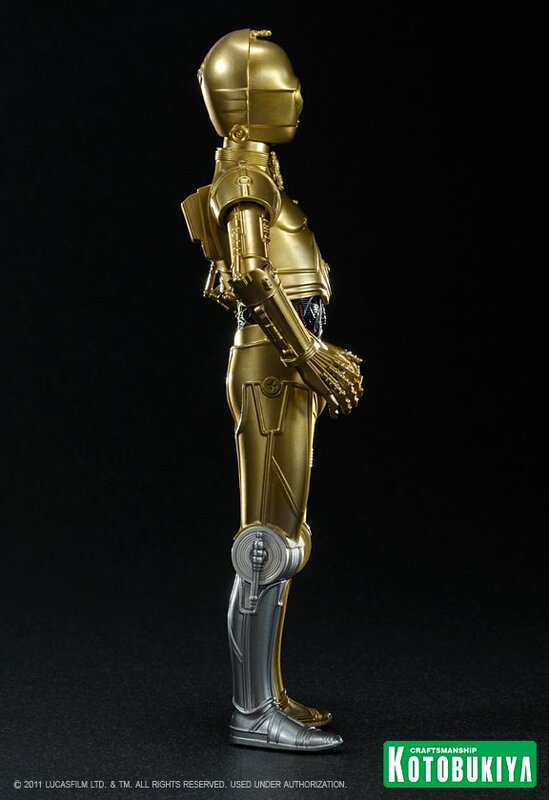 Both droids are sculpted to perfection, capturing all of the interesting mechanical details that made them so famous from C-3PO’s hydraulic joints and exposed wiring to R2-D2’s intricate paneling. 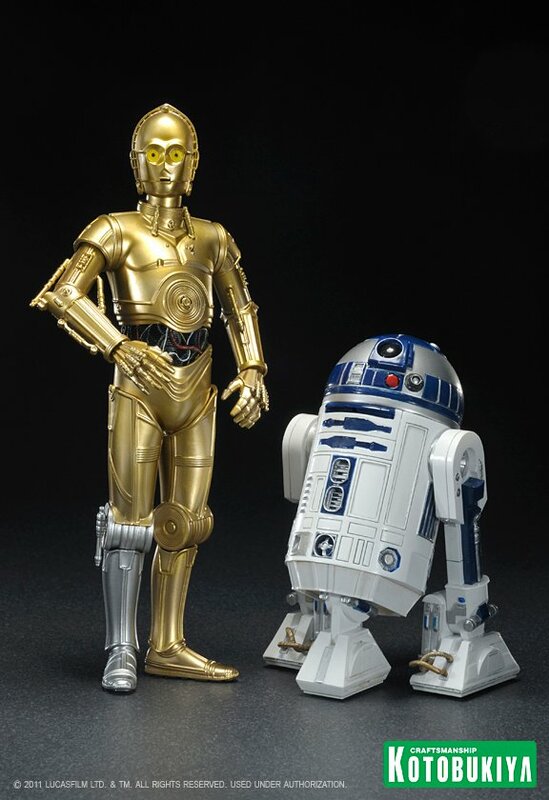 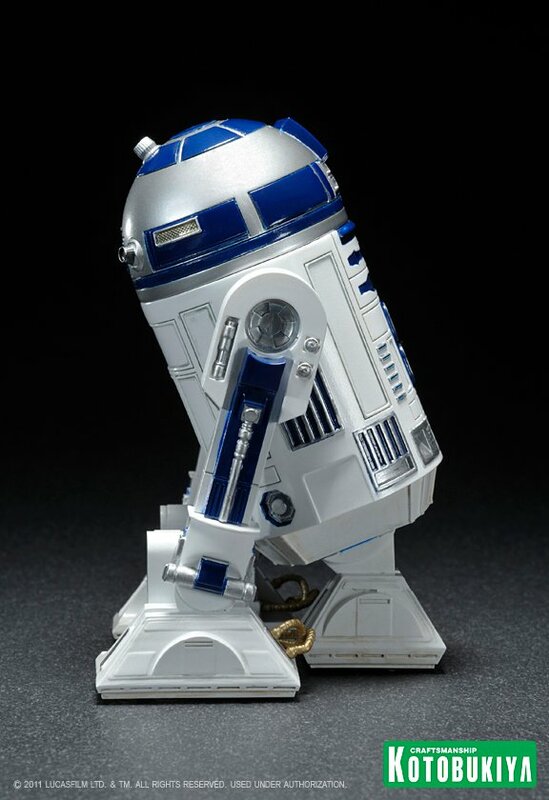 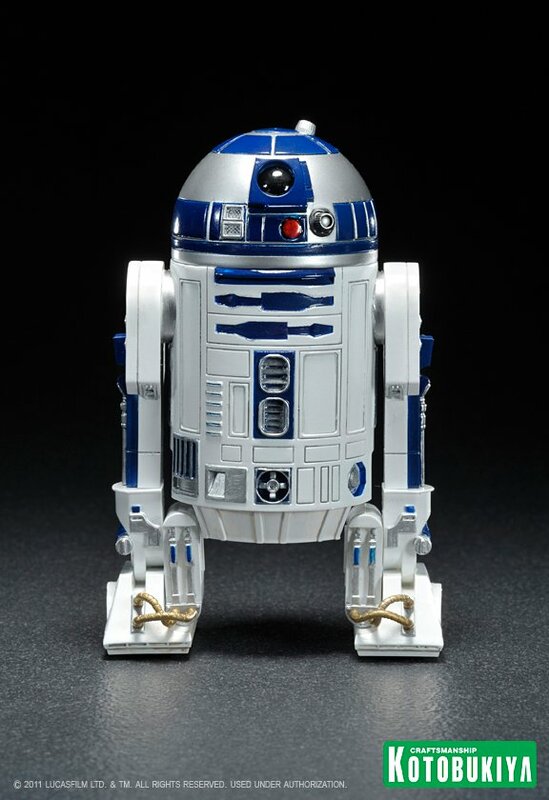 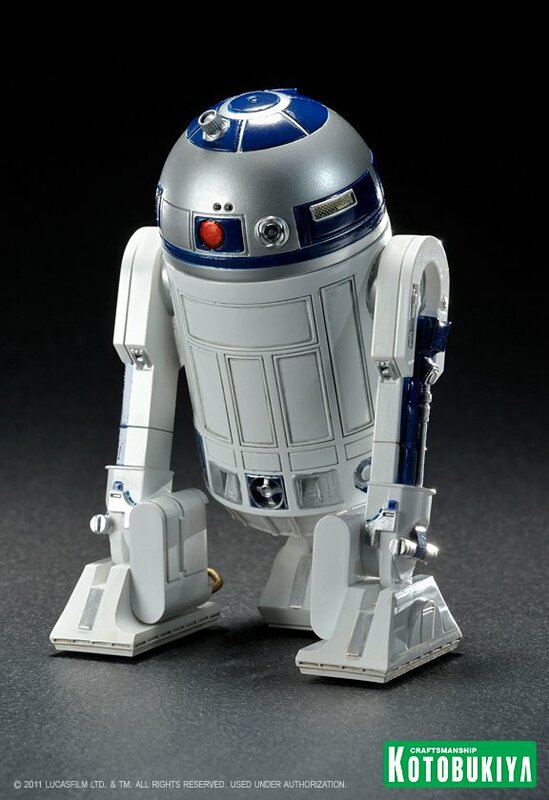 Both heroic droids come with alternate parts for different display options: R2-D2 can be posed standing upright on two legs or leaning back on three while C-3PO has poseable arms and swappable hands! 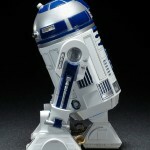 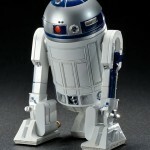 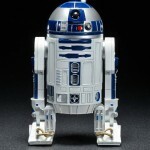 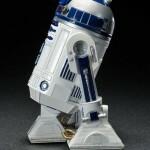 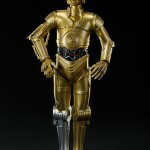 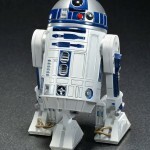 Finally, like the other ARTFX+ Star Wars figures the droids have magnets in their feet for display on included bases. 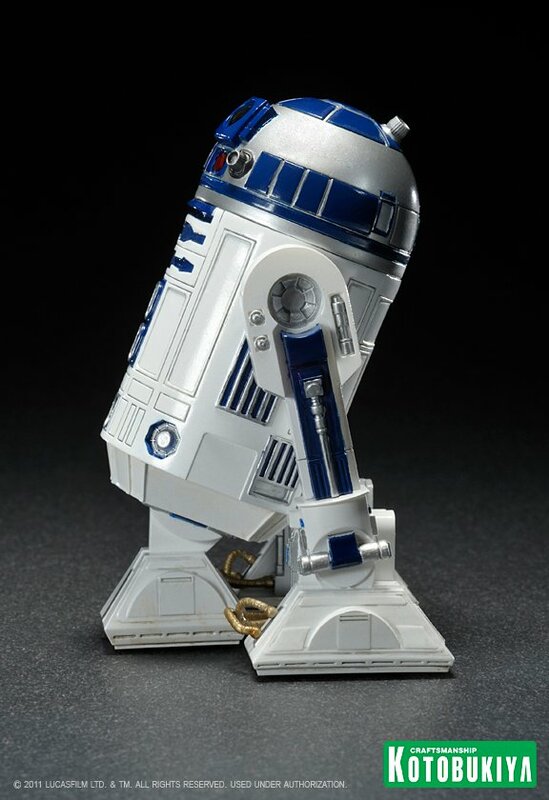 ARTFX+ Statues are fun-to-assemble pre-painted snap-fit kits that can be easily put together in seconds without glue or modeling skill. 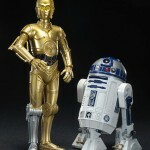 C-3PO and R2-D2 stand just over 6 inches and nearly 4 inches tall respectively (1/10th scale). 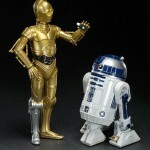 Display them with the members of the Stormtrooper 2 Pack to recreate the Death Star Control Room scene from A New Hope! 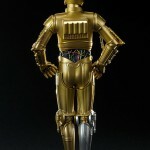 All of the pics can be seen by clicking the headline of the story.